For many, First Time Home Buyer there are several programs providing down payment assistance to first time home buyer are available in Central Florida. Many available programs exist throughout the entire State of Florida and some are county specific. In this article, we will review the programs available for the first time home buyer. Borrower must have at least 1 active trade lines, which means a mortgage, line of credit, credit card, or another credit-related item provided by a lender or financial institution. Maximum Income Limit is set at 115% of the Florida county in which the house is located. Maximum purchase price of FHA limits in the area in which the home is purchased, generally the lesser of $417,000, not including mortgage insurance (MI), or the maximum loan amounts permitted by HUD. There is no Prepayment Penalty Fee if the loan is paid out early, and the seller can contribute up to 6% towards the buyer’s closing costs. This loan is not allowed for 203K Renovation. Be a first time home buyer or spouse who has not owned a property for at least three years. One unit only allowed – Townhomes and Condos, Single Family Residence – with 95% LTV or less. 9% debt to income ratio or less. Two hour Buyer education required or any HUD approved agency (online or in-person) or approved one hour mortgage insurance education class from Mortgage Guaranty Insurance Corporation (MGIC) or Genworth. Three percent of the purchase price, in the form of a grant, does not require repayment by the borrower. This amount can be used for the buyer’s mortgage closing costs. It can also be used to “split pay” mortgage insurance premium to lower the cost or pay the mortgage insurance off completely. Any excess monies will be used to pay down the first mortgage so there is no cash back at closing. The maximum seller contribution towards the buyer’s closing costs is 3%. These loans are for purchase only, and cannot be used for construction or for investment properties. Another advantage of this program is that it allows for higher borrower income limits. It can be used anywhere in the State of Florida with no household income limitations. However, only the applicant income is used for qualification purposes. There are some fees due at closing: Florida e-housing fee's $225 compliance fee + $300 US Bank funding fee + $85 tax service fee at closing to be deducted from the 3% Grant. A one hour mortgage counseling conversation is required. Buyer’s income must be at or under 80% of the HUD median income. The loan is for a primary residence only. The maximum purchase price is not to exceed the FHA limits in the county being considered. The minimum middle credit score is 620. There can be no bankruptcy in last two years and no foreclosure last three years. There is no prepayment penalty fee if loan is paid in full early. 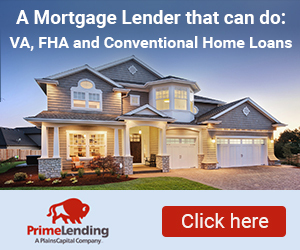 This loan may be combined with VA loans written by same lender. There is no private mortgage insurance premium requirement. VA rules limit the amount you can be charged for closing costs and closing costs may be paid by the seller. The VA may be able to provide some assistance if the buyer runs into difficulty making payments. VA benefits can be reused. In order to qualify for a VA loan, the individual must meet certain requirements and have a Certificate of Eligibility. A credit score of 600 is required. VA loans may be used for primary residences only. As mentioned previously, many counties have their own down payment assistance programs. The Florida Bond program provides down payment assistance from $7,500 to $15,000 depending upon in which county the home you are purchasing is located. Your REALTOR® can tell you what down payment assistance programs are available for the home you are considering. There is no reason to miss out on the home you wish to purchase because you lack the funds for a down payment. Contact your REALTOR® Frederick Franks at Fontana Realty today.